Our seven year-old is demonstrating disturbingly adolescent tendencies. Already. “Huh, what? Oh, uhhh, I don’t remember.” And then the curtain of hair falls back over his downturned eyes as they scurry back to their story. Oh, he’ll still instigate conversation on occasion, but now that he’s a maturing, intelligent young man I’d like to talk to him more. And not just about Lego creations – although I’m perfectly happy to show an interest in the things that engage him – but about our lives, his life, things that are going on around us. I never thought it would come to this, but this is a fairly typical exchange. “Can I bring the tablet? I want to read,” he says. “Because it’s a 3-minute drive down to the beach. I’d like to you engage in the actual world around you rather than a fictional one.” Which is followed by deep sighs on his end. Don’t get me wrong, I love that he reads. Hell, my wife and I had a fundamental role in fashioning this bibliophilic monster. But I want him to interact more – with us, with other adults, with his peers and the world around him. The reading is a crutch, a wormhole he can disappear down so as to avoid the swirling chaos of life as it is actually lived. So I began to cast about for tools to help unlock his reticence. A while back my wife put together a great list of questions which I wrote about in Something to Try Next Date Night. Essentially they were conversation starters, springboards to interesting discussion. What if there were something like that out there that I could use with my son? 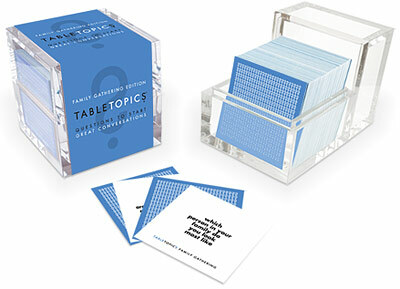 Well, the internet is a wondrous thing, my people, and within 0.26 seconds Google had delivered unto me the TableTopics Family Gathering card set. Who is most likely to be found stealing a taste from the kitchen? Is there a holiday tradition you dread? Which holiday do you most enjoy? What’s the biggest technological change you’ve seen in your life time? Would you rather meet your great grandchildren or your great grandparents? What foods do you remember from childhood? What family adventure would you love to take? What are you most proud of that you’ve done this year? Now many of these seem geared toward parents – What is your 4 year-old going to say when asked what her favorite movie was when she was young? – but there seem to be enough that everyone can answer, and these cards seem like a fantastic way for everyone in the family to get to know one another. Yes, it seems absurd to think that family members need to get to know each other, but how much do you really know about your parents, or your kids. I probably know more about my wife’s parents than she does, simply because I’ve asked them. 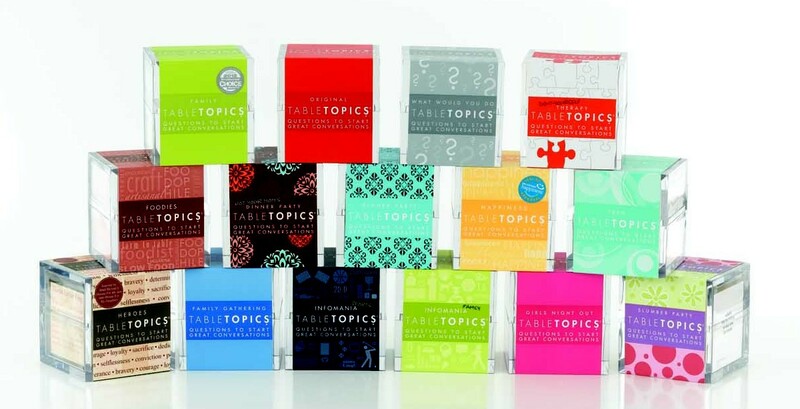 TableTopics has a fairly broad range of card sets, with everything from “Girls’ Night Out” to “Teen” to “Pillow Talk.” Now keep in mind that I’ve never actually seen these, but I love the concept and know it works, and these sets are very highly reviewed. Melissa and Doug also have a Family Dinner Box of Questions you might want to check out as well. If anyone has any experience with these, please share your thoughts. I think I’m going to sit down with the wife tonight and order a set or two, and maybe we can kickstart some conversation with our kids. Or at least get D’s face out of a book for a while. What’s the worst hairstyle you’ve had? Does your family have a Thanksgiving dish that is sacred? What are kids missing today? Free play time, independence, and a connection with nature. What posters did you have on your wall growing up? 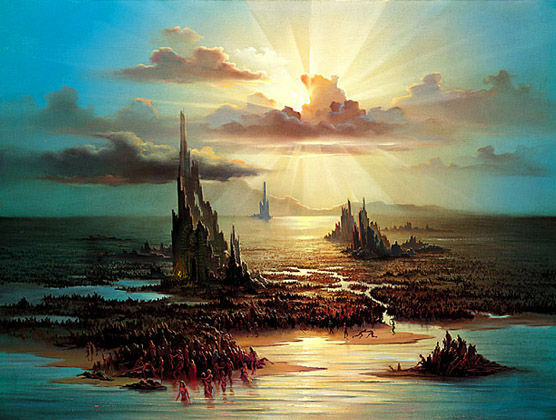 Styx – The Grand Illusion, a disturbing poster simply called “Overpopulation,” a selection of those fluorescent posters popular in the 1970s, and frequently National Geographic posters that come with the magazine. Gooch’s Beach, Kennebunk, Maine. There may be better beaches, but that’s the one I grew up on. And if you’d like to answer these questions in the comments, please feel free! Hmmm… “Overpopulation.” Is this an odd poster for a 12 year-old boy to hang on his wall? I like your blog and am using it as one model to learn more about creating my own. It has a very clean appearance and your posts are very creative. Thanks. Hair: Anything long left me being called a “hippie” and I am a girl. My 13 y.o. reads on iPad and plays games. Maybe you will see him as he is moving to Madrid with his dad’s family this summer for his high school years! I definitely agree with the significant increase in communication and presence of one’s children that takes place when parents remove devices. Try it for a Spring Break! Highly recommend The Winter of Our Disconnect by Susan Maushart along these lines. Great piece and I know exactly what you speak of having a 12 year old myself. What makes me really “laugh” is when she can’t remember how the teacher taught her to solve the math problem in school that day but knows for sure that the way I’m trying to explain to her is completely WRONG!!! Having Abby turn things around and become an engaging and articulate woman makes it all worthwhile. Worst haircut: probably the bi-level of the eighties. posters in my room: I can’t remember but in collage I had a poster of whales. Favorite beach: Long Beach Island in New Jersey but I don’t get there anymore so my fav that I go to is Popham Beach in Maine. You’d love it. I remember that poster in your room and I remember the mullet. Which by the way, I still love a good mullet on boys. Thank you for the mullet image. I know I’ve mentioned before that it takes a confident guy to be bald. If for some reason you regrow all your hair by morning, please don’t relapse into the cringe-worthy styles of the 80s. For me it was 7th grade and my classmates had dubbed my latest hairstyle “the cosmic wave”. Somehow I was able to “glue” my bangs into a wave shape with half a can of hairspray every morning so that it was completely immovable. In 7th grade I never had a boyfriend. Strange coincidence. Kudos to you. You got a reader for life. From my experience, it’s more difficult to get quality of conversations going when adults instigate it. Quality is about timing. For my family it’s always the morning drive to school when my kids would start revealing conversations with each others. I sit back, listen and able to join the conversation without the loss of quality. They do not mind. I know morning is not common conversation time for preteens and teens but the key is to be with them sometime during the day without any devices on. Eventually, real conversations happen. Here’s what you have to look forward to someday. Worst haircut – when asking just for a trim the lady decided to also defuse it leaving me looking like something out of an 80’s movie. This would have been ok but it was 2004. Kids missing – the sense of adventure….. It’s all in video games and youtube. No one seems to pack a lunch and walk for miles anymore. My son is ten and is very much going through that faze….. He has what seems like a unhealthy obsession with everything Japanese and has recently become very protective of his scruffy long red hair. Whenever he chooses to speak to us we make sure we take the time to listen…. It happens very rarely. But this was the little gem he came out with yesterday. Ben. “Dad, who is your favourite video game character.”? We wasn’t sure where to go from there!! I must confess, I totally was that kid with his nose buried in a book all the time. Okay, I’ve been reading your blog and enjoying it. You have a great gift of expression and I love it. As I understand your story, your son is, or was, completely absorbed in a novel with a pot-boiling plot. Anything about school, which is kinda boring in comparison, is not going to connect. He’s probably got great reading comprehension scores on his competency tests. 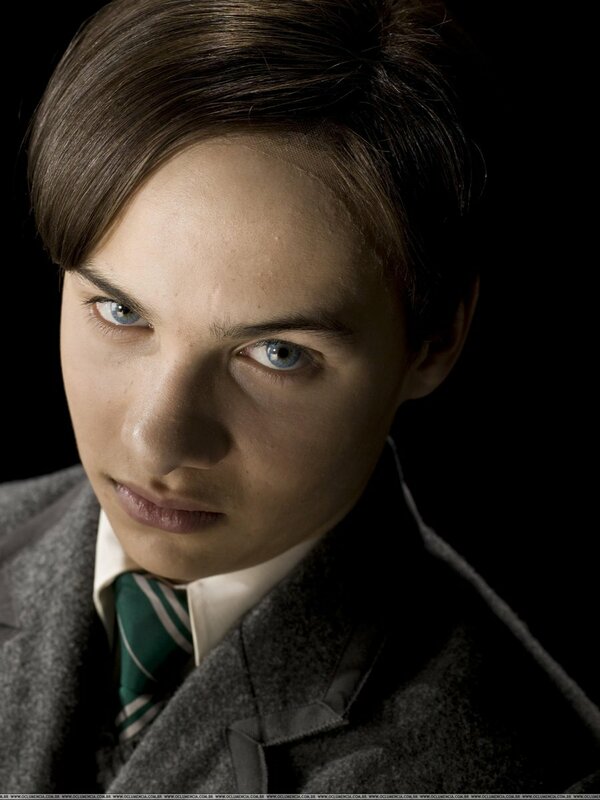 I bet he’d be up for a discussion of the Harry Potter novels, the characters, the plots, the language, way more than any mundane thing about how his school-day went today. You think he’s using it as a crutch or an escape simply because he prefers to read a page-turner rather than tell you about his boring Spanish class? Nope. He’s reading a good story and he wants to see it through and find out how it ends. Yes, this is over a year-old post, but I think you are doing your son an injustice. Ok worst haircut was actually a non-cut. In that I refused to go to the hairdresser for three years in protest at them constantly cutting my hair short! If you can imagine curly hair growing out of my head like a rectangle in a straight line across the top of my head, you have something of a picture. It was bad. We don’t do Thanksgiving here in NZ, but my lemon meringue pie is a pre-requisite for all extended family gatherings. Kids are missing innocence. And fresh air. John Travolta in Grease. I was a cliche, I admit it. My favourite beach is Onetangi on Waiheke Island. Google it and weep with envy.